OPERATION: SOLID LIVES (OSL) is a highly eective, proven system of discipleship that has been written, tested and refined—time and again for over 20 years—to maximize its ability to impact individuals and accommodate masses of believers who are genuinely hungry for God’s word. Virtually anyone with a good attitude and a willing heart may participate and graduate from OSL, including those with limitations or disabilities. It is designed with five levels which build one upon the other to lay a solid biblical foundation. All levels include powerful audio teachings, daily Bible reading and journaling, Scripture memorization and other key disciplines. 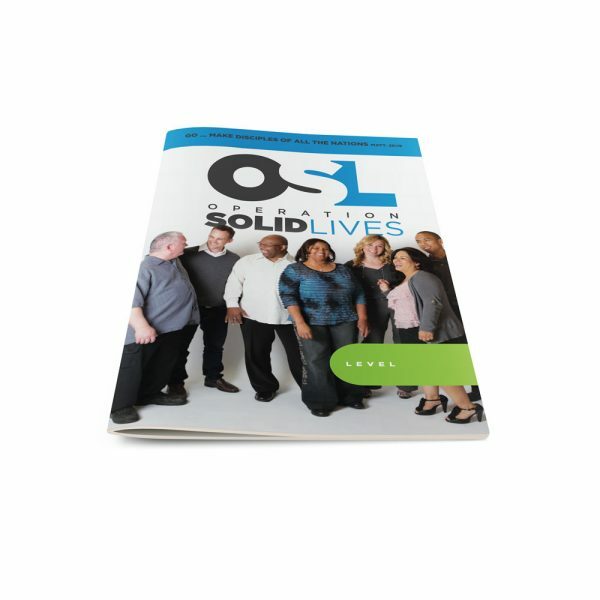 Churches of various sizes, cultures and locations are excitedly reporting both spiritual and numerical growth as a result of using OSL.